Brough: Swan, Black Bull, Fleece, New Inn. Brough: Thursday before Whitsunday, horned cattle and sheep. The town is divided into two, upper or church Brough (or Western), ... The other part is called Lower or Market Brough, from the inconsiderable market held there every Thursday. The chapel here is now a freeschool. ... Bremetonacae [Overborough] is placed ... twenty-seven Roman (or twenty-four English) miles south of Galacum, which some antiquaries conceive to be Apulby, though others with more probability think it was Brough: the distances correspond, besides the additional argument of their being nearly in the same direction, whether we conceive Galacum to be Apulby or Brough. 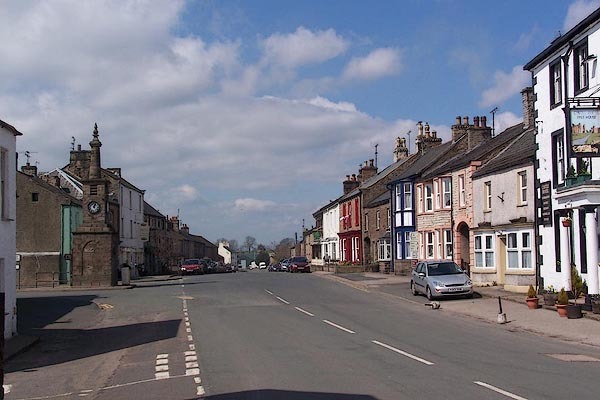 The Roman road is easily traced from Ribchester ... to Overborough; afterwards the Roman road goes through Casterton and Middleton, and, as some think, by Borrow-bridge and Orton, to Apulby. 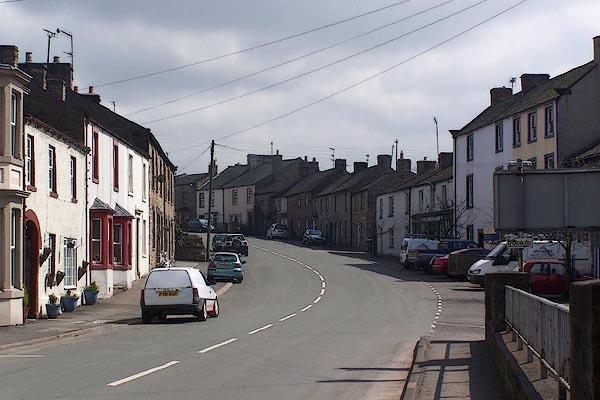 Others, and perhaps from better reasons, are of opinion, the road went by Sedbergh, or Sedburgh, over Blewcaster, along Ravenstonedale-street, and through Kirkby-Stephen, to Brough or Burgh. two Towns, viz. the Upper alias Church Brough, ... The other Part is called Lower Brough from its Situation, and Market Brough from its Market, which is pretty considerable, and is kept on Thursday. Verterae must be Brough under Stanemore for several Reasons, viz. the Name which imports Antiquity, its Situation upon a Roman Highway, and the exact Agreement of the Distances from Levatrae and Brovonacum. Building, labelled as a town. Thursday market at Brough under Staynmore, granted by Edward III to Roger de Clifford, 2 August 1330. Moved here from Church Brough. Letter patent for a market at Burgh, 4 Ed 3, 1330-31, in Palmer's Index No.93 at the Public Record Office. Market day Thursday given on Bowen and Kitchin's map, 1760. ... Verterae is long since decayed, and the name of it changed into Burgh: for it is commonly called Burgh under Stanemore. In which, it is said, a Romane Captaine made his abode with a band of Directores, in the declining age of the Romane Empire. These two places [Brough and Appleby] William of Newborough called Princely Holds, and writeth that William King of Scots a little before he himselfe was taken prisoner at Alnewicke, surprized them on a sodaine, but King John recovered them after, and liberally bestowed them upon Robert Vipont, for his many worthy services. Brough - New Inn, Westmor. / At Brough on r. a T.R. to Kirkby Stephen. Brough / INNS. Brough, New Inn, Swan.